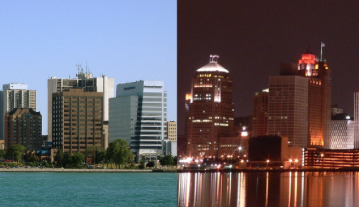 A cross-border event in May will bring together information technology and health care professionals from Detroit and Windsor, with the goal of designing apps and solutions for the health care sector. “The ultimate goal of Hacking Health Windsor-Detroit is improving patient-centric health care while building cross-sector and cross-border collaboration that spurs tech startups and regional economic development,” says Paul Riser, director of technology-based entrepreneurship at TechTown, the Detroit-based business accelerator hosting the event on the north campus of Wayne State University. Throughout the weekend, doctors, nurses, computer programmers, graphic designers, and students, will pitch ideas, form teams, create an app to solve a challenge within the health care sector, and receive feedback. The groups with the best ideas are eligible for $20,000 in prizes. TechTown is a non-profit that connects startups and emerging businesses with a variety of resources. The group is partnering with WEtech Alliance, a technology accelerator, and Hackforge, a shared space for technology professionals, both in Windsor, to host the event. The three-day program will be held May 1-3.